Ships Friday, 04-26-2019. Choose USPS Priority for delivery in 3-5 days. Available in a wide range of colours and three fastener options. Standard size measuring 1" tall, and 3" wide. Choose between square or rounded corners. 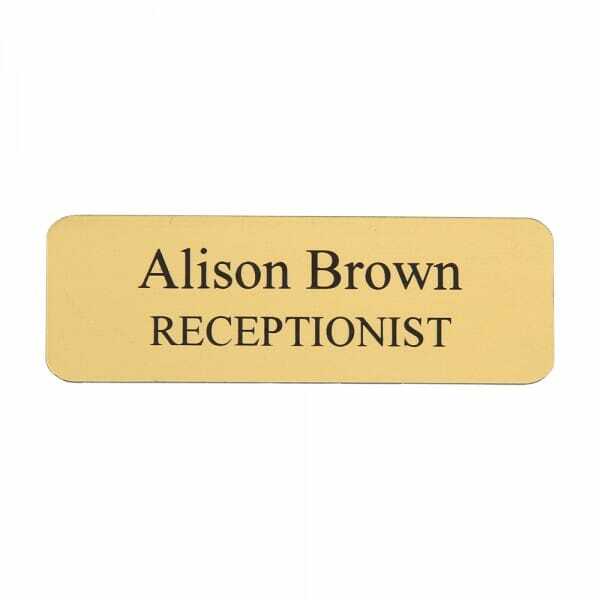 Customer evaluation "Custom Engraved Name Badge- Plastic 1" x 3""
Nice and friendly customer service, perfect name badges for our staff and board.